Locals have spending the past couple of days picking up everything from bits of plastic to old car tyres as officials assess the severity of the situation. 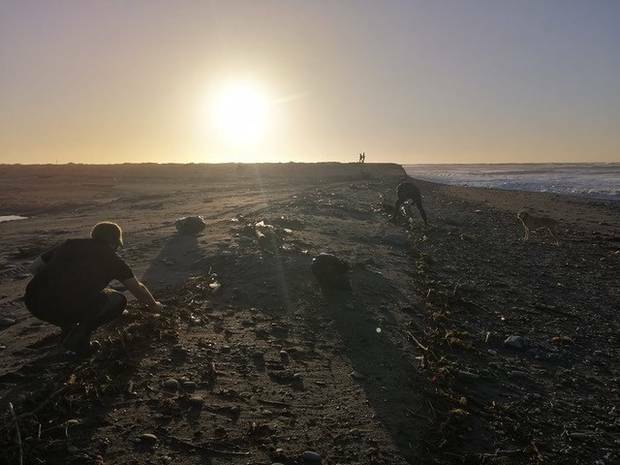 Okarito residents have told the Herald rubbish was washing up along at least 100km of coastline between there and Haast after last week's storm, which washed away the Waiho River bridge, cutting off the district. Okarito community association member John Vanderloo said the effects of the storm were still being felt not only as Haast locals still go without power but now local marine life was at risk following the breach. He said the situation wasn't as bad in Okarito than south of Franz Jozef. "Everything that is being done [at the moment] is being done by volunteer support. I know that Department of Conservation staff have been out with some people further down the beach, around Gillespies Beach where it's real bad as well, and then yesterday we had a helicopter fly in with representatives from DoC and Westland District Council." Vanderloo said he had tried to get more information about the seriousness of what's occurred from officials last night but "there was none available". "I was simply told that we would be updated today." 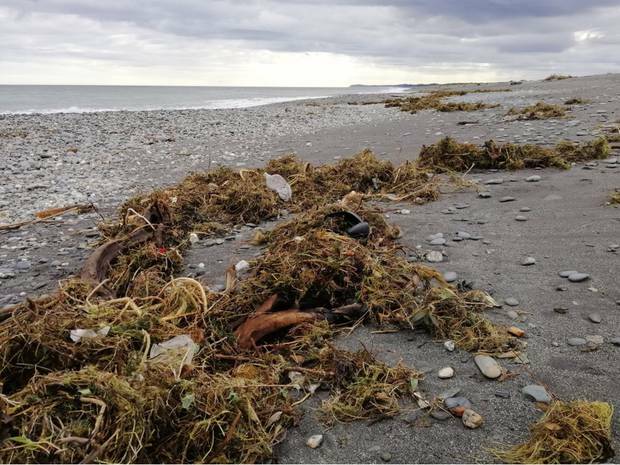 He about 23 volunteers were out cleaning up "a mile of beach" in his beachside town, but it was nowhere near as bad as further south of Franz Josef to Haast where it was "way worse". "I don't even think they've [Haast] got power back on yet." He said Okarito - which has about 20 permanent residents - was home to New Zealand's largest natural lagoon which was now also getting inundated with rubbish at high tides. "It is not a good situation." The loss of the Waiho bridge was now having a huge impact on tourism in the area which was the sole income for a lot of businesses. "It's one of those things. We've got a disaster going on and we need some help and we need it quick because it's just going to keep coming back." However, Westland deputy mayor Latham Martin this afternoon said he was unaware of reports of rubbish as far south as Haast but said an old landfill at Fox Glacier had been "significantly eroded by the [Fox] River". Martin said the old landfill at Fox Glacier had been "capped" - or sealed - and was currently being used as a recycling transfer station. It appears to have take some time for the rubbish to wash back up on the beaches after it was eroded by the raging torrent of the Fox River during last week's massive storm. "We are working as hard as we can to get it sorted ... [landfill] has been eroded. The river has cut unto it and has removed the protection." Contractors were at the site currently trying to re-seal the landfill as more rain was forecast for tonight and tomorrow. Resident Mike Bilodeau - who had been camping out near the Waiho River collecting and bagging up what he could - said there had been an "alarming amount" of rubbish that had been swept out to sea. "Now, beaches north and south of the Waiho River are absolutely covered in shredded plastic, partially burned plastic, car tyres and so on. These pristine West Coast beaches are nearly unrecognisable at the moment. 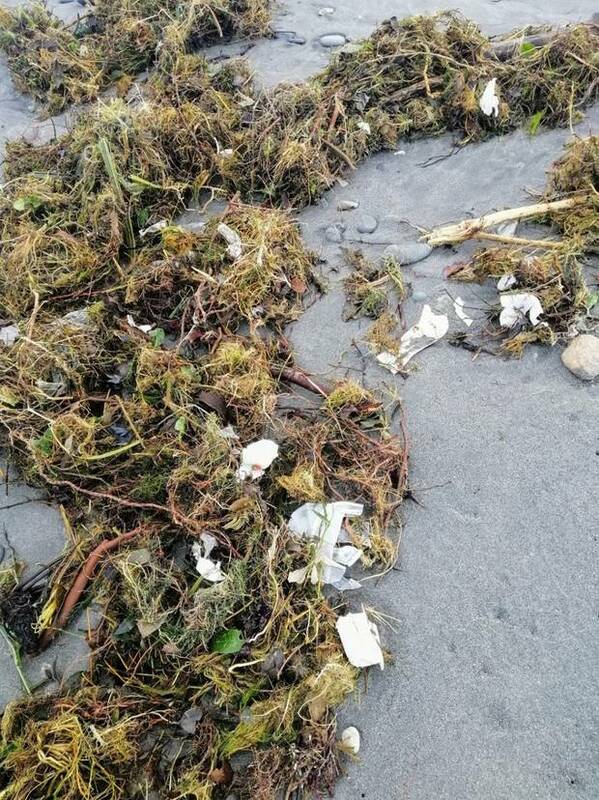 "The aesthetics of the area are definitely a concern, but pale in comparison to the threat this debris brings to marine life and the surrounding natural environment." He said it was a never-ending battle for volunteers as each tide would just wash up tonnes more rubbish "making it seem endless". "It's mortifying walking through a marine reserve, picking up old shoes, milk jugs, tiny cream containers, water bottles, bits of plastic bags. "It's a real wake-up call witnessing this first hand, and realising how much of a waste issue we are all a part of. Before we sit back and reflect on our purchasing habits though, there is a marine emergency that needs to be dealt with immediately. This disaster is real, and it's happening now, with more heavy rain and wind on the way." Okarito resident Paula Sheridan, who runs Okarito Boat Eco Tours, attended this afternoon's meeting where they were told about half of the old landfill had spilled out into the Fox River. However, when asked how much that was, Sheridan said officials weren't sure but confirmed it was "in the tonnes". Officials were also quizzed about whether any hazardous chemicals were buried at the landfill now seeping into the river and beyond. Again, however officials were not sure, she said. What they did know is that the Fox River was currently full of rubbish "all the way down to the mouth of the river". She said everybody seemed ready to go, including DoC staff, they were waiting for the go-ahead from council who were currently organising a plan to get the coastline tidied up. While there was plastic floating on top of the water it was unclear what had already settled on the sea bed, she said. She had contacted the people who monitor the country's only White Heron nesting colony, situated south of the Waitangitaona River, to see if rubbish had reached that far north yet. The biggest concern was a short but severe bout of rain which was due to begin hitting the region tonight. They were expecting the rubbish to soon start to wash up further north due to the regular south-westerly wind flow. A Department of Conservation spokeswoman said they were aware of the rubbish. "DOC staff have been assisting Westland District Council with assessing the extent of the spread of the rubbish and collecting what rubbish they can, including in using helicopters to get to more inaccessible sites." She said they weren't aware of any native wildlife being affected however "it could impact on coastal and marine life such as seabirds, including little blue penguins, and dolphins".